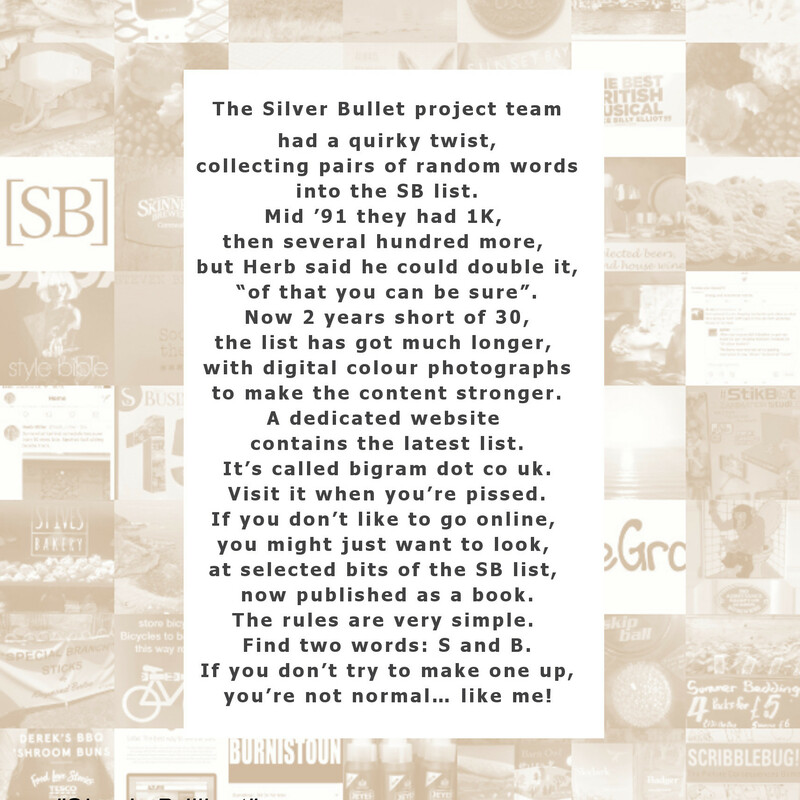 The Silver Bullet project team had a quirky twist, collecting pairs of random words into the SB list. Mid ’91 they had 1K, then several hundred more, but Herb said he could double it, “of that you can be sure”. Now 2 years short of 30, the list has got much longer, with digital colour photographs to make the content stronger. A dedicated website contains the latest list. It’s called bigram dot co uk. Visit it when you’re pissed. If you don’t like to go online, you might just want to look, at selected bits of the SB list, now published as a book. The rules are very simple. Find two words: S and B. If you don’t try to make one up, you’re not normal… like me!